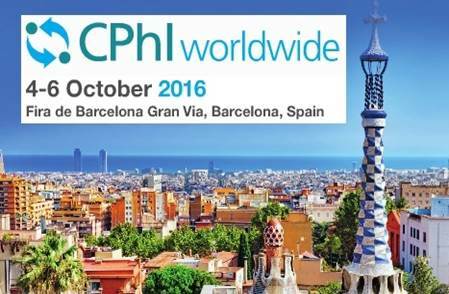 At the CPhI in Barcelona from October 4. to 6. Arevipharma presented itself with its strong sales team. „This exhibition is always a great opportunity to meet existing clients and to network with perspective new customers“, said CEO Dr. Hendrik Baumann. Arevipharma highlighted in a flyer its existing product portfolio and its technical possibilities for custom synthesis. „Especially when it comes to the trustful exchange of manufacturing processes, the interest for a reliable european partner is unbroken“, summarized Carsten Schröpfer, manager for business development, at the end of the show.